Indicate the actions of the driver that may have contributed to the crash. The actions by the driver that may have contributed to the crash. This data element is based on the judgment of the law enforcement officer investigating the crash and need not match Violation Codes. This element is important for identifying specific driver behaviors during a crash and understanding and mitigating the effects of dangerous behaviors. 1 No Improper Driving This attribute indicates that in the law enforcement officer’s judgment the driver took no improper driving actions at the time of the crash that contributed to the crash. 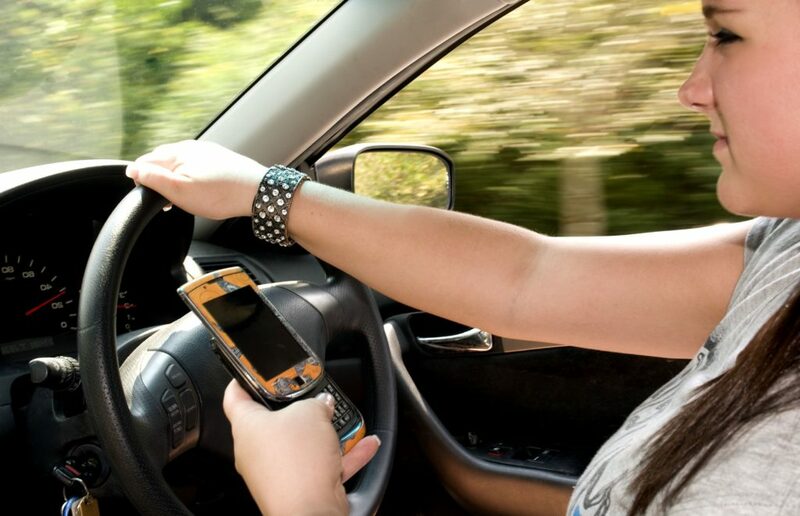 Other circumstances contributing to the crash such as alcohol or cell phone use would be recorded under Condition at Time of the Crash and Driver Distracted By respectively. 2 Exceeded Authorized Speed Limit When a motor vehicle is traveling above the posted/statutory speed limit on certain designated roadways and/or by certain types of vehicles; e.g., for trucks, buses, motorcycles, on bridge, at night, in school zone, etc.). 3 Disregarded Traffic Signs, Signals, Road Markings Indicates a failure to obey traffic signs, traffic lights, and road markings, such as stop signs, yield signs, traffic lights, pavement arrows, etc. 4 Failed to Yield Right of Way Driver fails to yield right-of-way to another motor vehicle or non-occupant as required. 5 Followed Too Closely Driver is positioned at a distance behind another motor vehicle or non- occupant that is too close to permit safe response to any change in movement or behavior by the other motor vehicle or non-occupant. 6 Made an Improper Turn The driver performed an improper turning maneuver. 7 Driving Too Fast for Conditions Traveling at a speed that is unsafe for the road, weather, traffic, or other environmental conditions at the time of the crash. 8 Wrong Side or Wrong Way The driver operated the motor vehicle on the wrong side of the road or in the wrong direction in the case of a one way street. 9 Failure to Keep in Proper Lane or Running Off Road Driver does not maintain position in appropriate travel lane. 10 Operating Vehicle in Erratic, Reckless, Careless, Negligent, or Aggressive Manner Driver actions could include but not be limited to excessive speed, frequent or unsafe lane changes, tailgating, etc. 11 Swerving or Avoiding Due to Wind, Slippery Surface, Vehicle, Object, Non-Motorist in Road Way, Etc. Defensive driver action to defend against an apparent danger in, on, or due to the condition of the roadway or the presence of a motor vehicle or object or non-motorist in the roadway in order to avoid a crash. 12 Over-Correcting/Over-Steering Driver actions that result in over-steering/correction, resulting in and loss of control of the vehicle. 13 Glare A very harsh, bright, dazzling light that impairs vision. 14 Physical Impairment A condition that results in some decrease in a physical ability. 15 Emotional Examples include; depressed, angry, disturbed. Includes; fighting, disagreements, emotionally upset, screaming, etc. 16 Illness Examples include: diabetic reactions, allergic reactions to medications/drugs, failure to take required medication, seizures, heart attack, high/low blood pressure. 17 History Heart/Epilepsy/Fainting Refers to a history of heart problems (including heart attacks), epilepsy (which can manifest as seizures) and/or fainting. 18 Visibility Obstructed An object blocking the driver’s sight, contributing to the crash (such as a bush, tree, etc.). 19 Inattention Actions could include but are not limited to failure to yield the right of way, disregarding traffic controls, failure to signal, etc. 20 Distracted Distractions that influence driver/non-motorist performance, involving both an action taken by the driver/non-motorist and the source of the distraction. 21 Fatigued/Asleep Indicates non-motorist experienced a temporary loss of consciousness or was in a reduced physical and mental capacity due to weariness, medication, or other drugs. 22 Operating Defective Equipment Indicates driver was operating a motor vehicle with defective equipment. 97 Other Improper Action This attribute is used for a variable that is not addressed by the previous attribute options. If this attribute is used, an explanation in the narrative is recommended. What if driver ‘failed to use care’? Select ‘other’ as it was a contributing action, not specified. Does the order matter i.e. more related to the cause? If Driver Contributing Code lists ‘distracted’, then the value for Driver Distracted By should be something other than ‘not distracted’. The Driver Contributing Code field was considered acceptable in 92 percent of the reports reviewed. In reports that had inconsistencies, the greatest percentage came from paper submissions by local police. Another issue with this field was leaving it empty, which was the case for more than 4 percent of reports reviewed, and the biggest issue for State Police. Compared to the 2008 audit, the percentage of acceptable reports for this field has gone up by 2 percent. Auditors expressed concern about the difference between ‘inattention’ and ‘distracted’. Auditors also commented that police departments had varying informal policies regarding their use of this field and its relationship to the cause of the crash and citations issued. Some departments indicated a citation needed to be written for whatever driver contributing factor was described here. Therefore, the field was only completed if the officer was certain of the driver contributing factor and was willing to issue a citation.